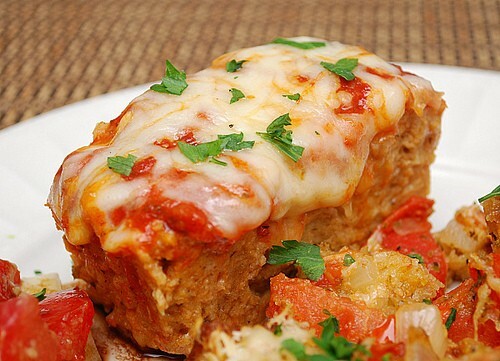 First, Chicken Parmesan Meatloaf. My husband must have had a bad childhood experience with meatloaf because he does not like it at all. So when I found this healthier, Italian version, I knew I had found gold. You can use either ground chicken or turkey. He's now converted. 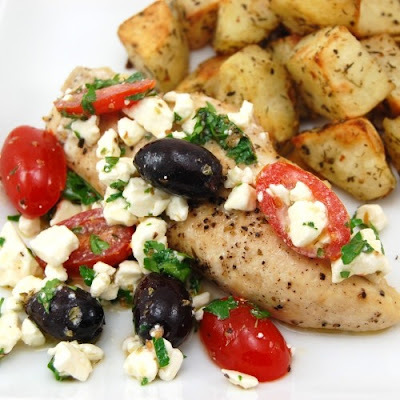 Second, is Greek Chicken, which, if my husband would let me, I could easily make once a week. It's that good and that easy. I pair it with Alexia oven fries, which soaks up all the lemony goodness and because I'm a lazy weekday chef. Have you found any on there that are now your favs? What did we do before Pinterest?! Yumm, I am trying that Greek Chicken recipe for sure. I have an awesome meatloaf recipe from Cooking Light that is a tried and true with sun dried tomatoes, basil and sharp provolone. Yumm. This week I made an acorn squash soup (although I did butternut) with toasted pecans from Gina's Skinny Taste recipes....I am so glad you put me on to that sight. Happy weekend!